Okay, so here it goes…my first Stamp Sunday post! 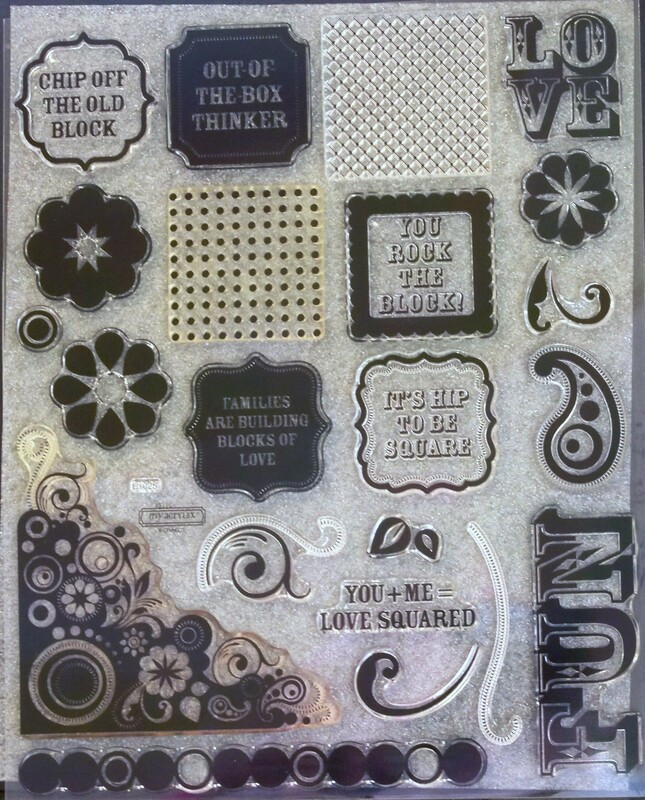 This week I just had to choose the Rock Around the Block stamp set from this month’s Close to My Heart Rock Around the Block Campaign. When I did the Blog Hop for this special I didn’t even use the stamp set so I wanted to make sure it didn’t get lost in my stash. It is a fun, versatile set. Supplies used: Patterned paper from my stash, Stampin’ Up cardstock, CTMH Cotton Candy & Tulip ink, CTMH Rock Around the Block stamp set, and brads from my stash. Loosely based on a December 2006 Page Map sketch. I used second generation stamping with Cotton Candy ink to get the lighter shade of pink. My original plans were to use the flower stamps around the title but I liked it with just the flourishes. I can’t believe that I didn’t use any of the flowers! You can visit My CTMH Website to get this exclusive stamp set through January 31st, 2012.